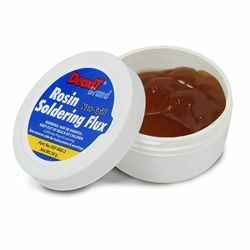 Remove impurities and oxidation from your solder joins with a traditional rosin flux that meets the J-STD-004 for ROL0, the lowest residue corrosivity standard possible. This must addition to your Soldering Supplies! Soldering iron not included.